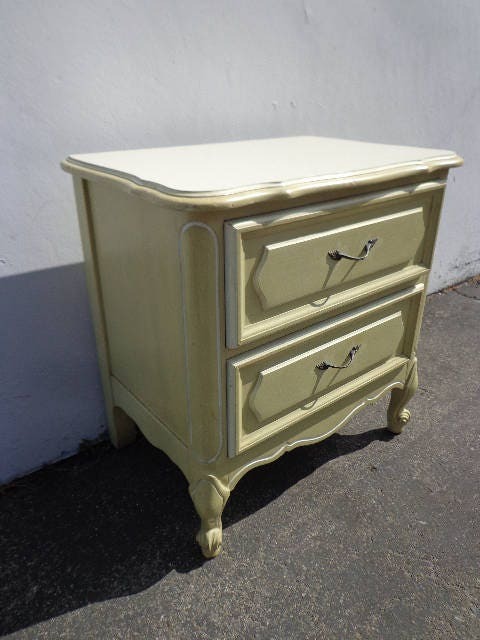 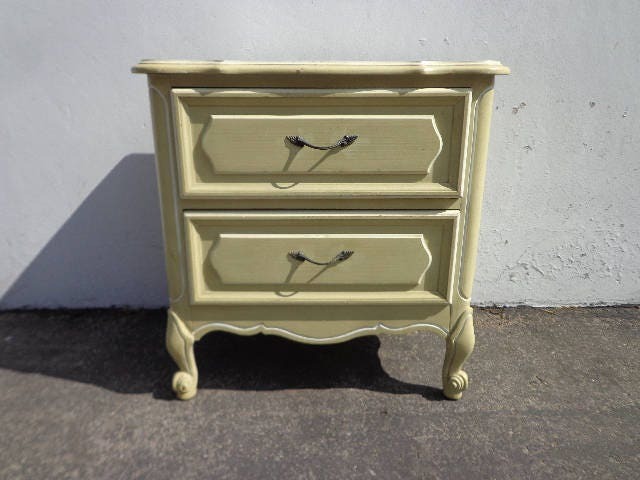 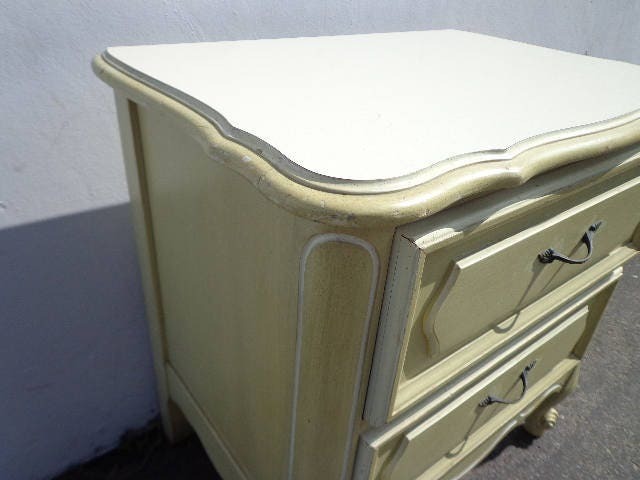 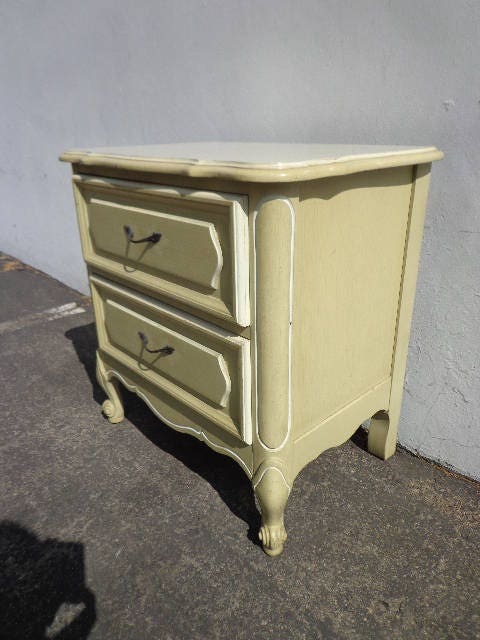 Vintage and beautiful bombe chest in the classic French Provincial style. 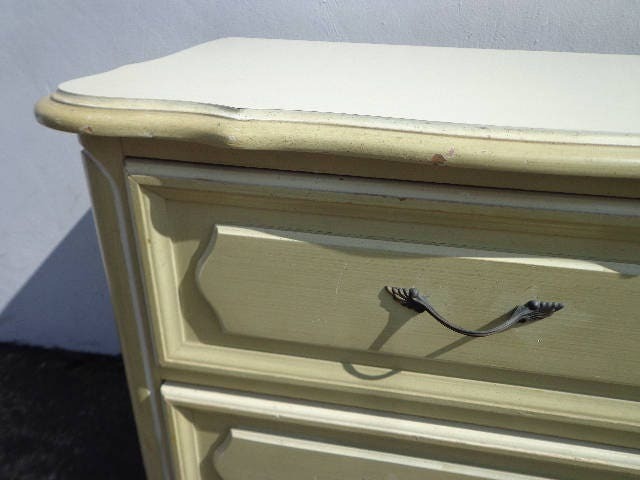 Features an appealing shape and offers 2 dovetail drawers with decorative hardware. 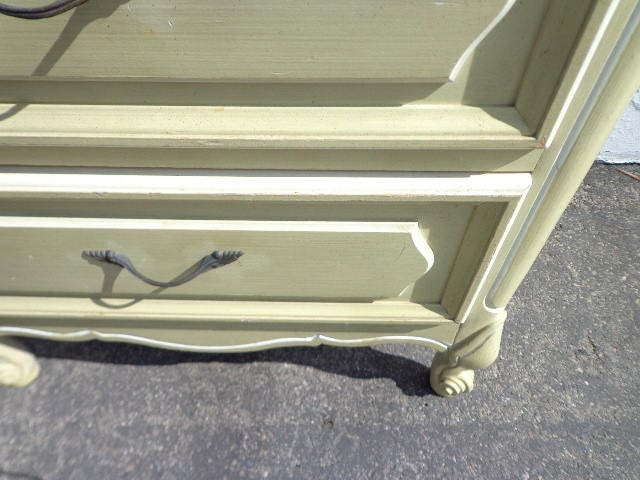 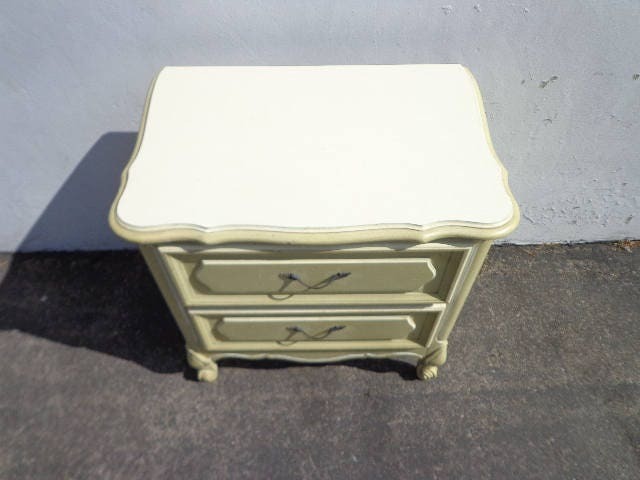 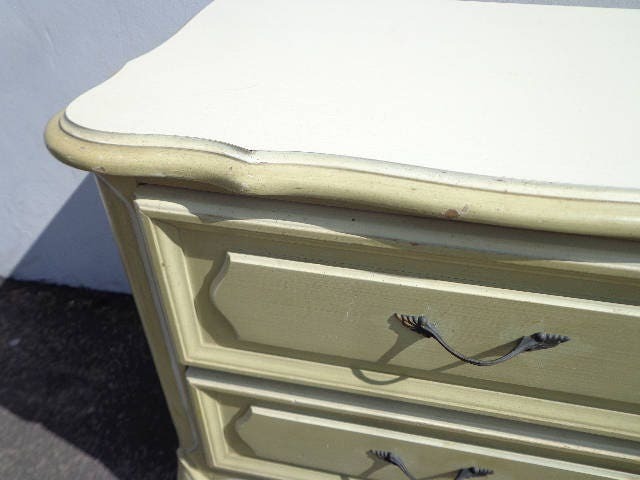 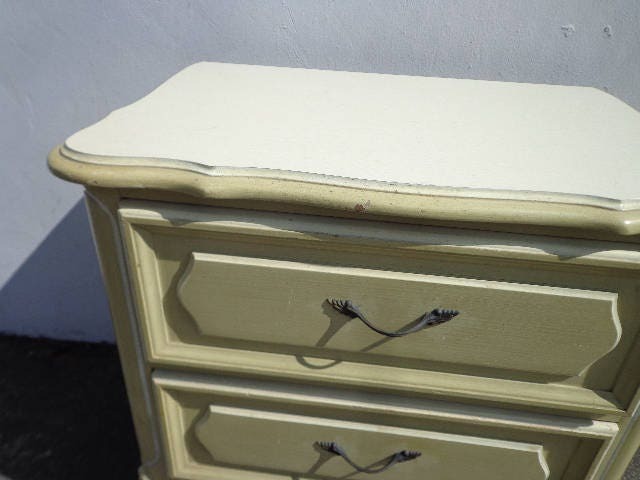 This piece was painted by the previous owner and will benefit from refinishing. 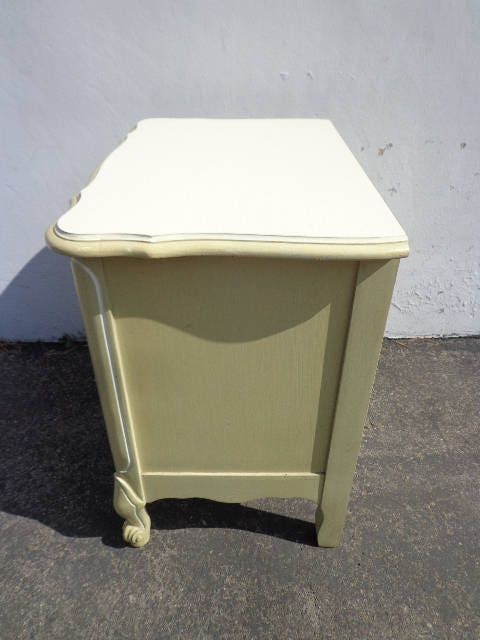 Dimensions: 23 1/2" x 16" x 24 1/2"